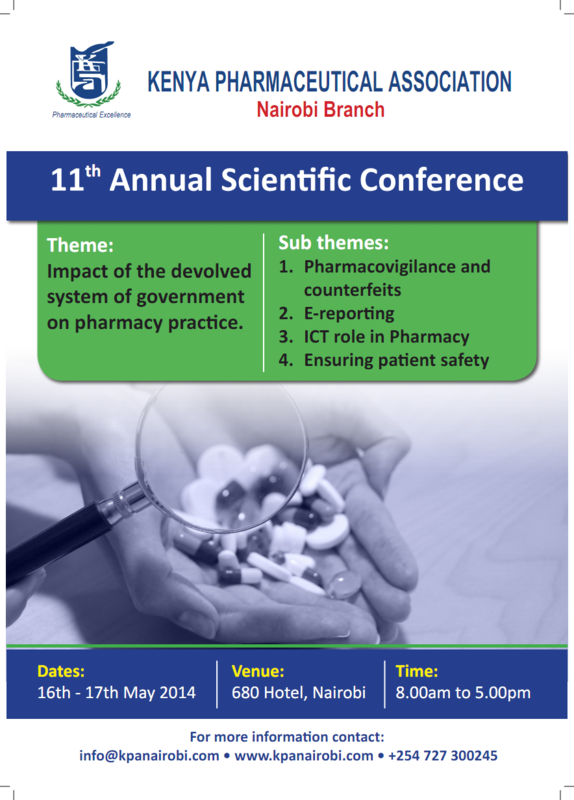 Pharmnet is brand developed by Kenya Pharmaceutical Association. The brand is run by Nairobi TechPharm (NTP) which is a trading subsidiary of KPA. Retail pharmacy/chemist outlets often serve as the first point of accessing care for many people, both in Kenya and elsewhere. However, the retail pharmacy business in Kenya is highly fragmented and faces serious challenges with regard to the quality of products and services offered through them. There is an ever increasing number of retail pharmacy outlets operated by unqualified personnel which presents a health risk to unsuspecting consumers. The presence of sub-standard and counterfeit medicines is also common place in Kenya and this worsened by the fact that there is nothing that can help the consumers distinguish licensed outlets from those that are not. KPA figured out that a branded network could address this challenge. PharmNet was conceived in the beginning of the year 2014 and business operations started beginning of October 2014. The present Directors are sourced from all the 10 branches of KPA and National Office. The current location is at Hurlinghum UNIPEN flats 2nd Floor door 5. PharmNet brings together Pharmaceutical professionals who own pharmacies to form a network which stands for quality products and professional services. It does pool procurement and organizes for training to its members. It only sources for quality and affordable products. All pharmacies that join the network are identifiable through a common logo. The primary target for the network is KPA members. However, membership is voluntary and any licensed pharmacy that is operated by a qualified pharmaceutical professional can join Pharmnet. A membership fee will apply in either case. There are many benefits in becoming a member of Pharmnet. A unifying logo and brand will be a form of client signaling. Members of the public will easily identify the branded pharmacies that are licensed to operate and distinguish them from others that could be operating illegally. Being a member of Pharmnet will potentially lead to increased clientele and enhance consumer loyalty. Members of Pharmnet will benefit from consumer awareness campaigns that are expected to drive consumer demand for essential medicines. Network members will benefit from training on retail chains management, inventory management, product knowledge, forecasting and ongoing CME as integral part of network operations. The training will support them to provide quality services. Quality manual and checklist that network members can use as reference guides to ensure superior service provision. Through its subsidiary Nairobi TechPharm, KPA will enter into procurement agreements with selected suppliers of essential medicines and negotiate volume discounts which they will pass on to Network members. Linkages with other KPA members in Pharmnet to avoid professional isolation and improve service delivery through peer-to-peer support. Members can form clusters in their respective geographical areas where they can meet periodically to share experiences and help each other to improve on quality service provision. Increased access to quality assured pharmaceuticals and products that are provided by a qualified pharmaceutical professional. Increased availability and affordability of essential medicines was discounts from pooled procurement will be passed on to customers. Improved customer service as customers will receive service that is different from what they are used to. They will be treated with dignity and will be provided the right information, and the right medication in the right dosages. With the ever increasing number of unlicensed outlets, Pharmnet offers an easier way for the government regulator to distinguish pharmacies that are licensed to operate from those that may be not. Through Pharmnet, the regulator can easily enforce the required guidelines as KPA will hold its members accountable.